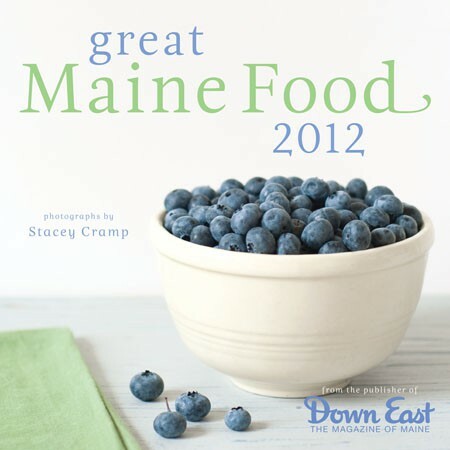 The 2012 Great Maine Food calendar is available as of this week. Published by Down East, it features 12 seasonal food photos of mine with accompanying recipes from various Down East cookbooks. Like the Savoring Maine calendar I published in 2009, there are also fun factoids about each food. Unlike the Savoring Maine calendar, the dates have boxes around them for all you people who like to write your dentist appointments down on your calendars! If you’re in Maine, please purchase them from a local, independent bookstore (such as Rabelais or Longfellow Books if you’re in the Portland area). Out-of-staters can order from the Down East site or Amazon. Get ’em while they last! 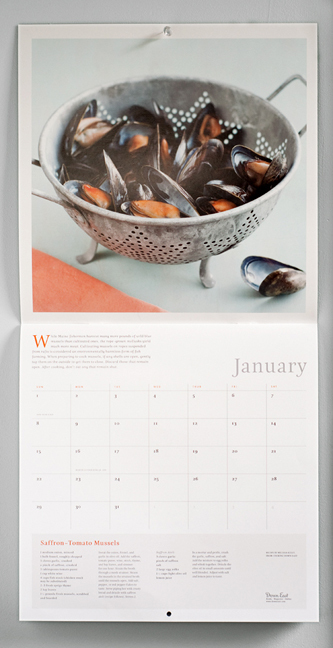 When Down East contacted me about doing a Maine food calendar last summer, I was thrilled. I had hoped to find a financially viable way of reviving the food calendar I’d self-published a few years ago and this was the perfect opportunity. All but the fiddlehead photo were shot over the course of a couple of months late last summer and early fall. 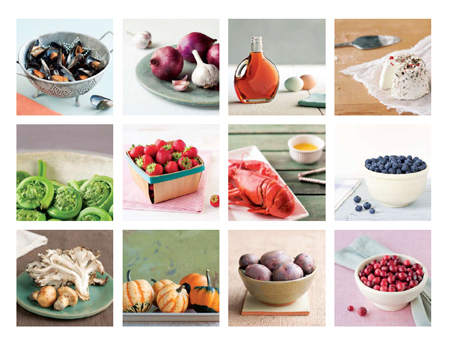 It’s fun to see my style evolving since that last calendar when I had first started shooting food. Shots are less tight now and often involve more background and props. I like to think they tell more of a story. My palette has become more muted as well, letting the vibrant food speak for itself. Of course, I’m already thinking about how I’ll do things differently in the future, but that is the nature of being a photographer—there’s always room for growth and change. This entry was posted in food and tagged calendar, Down East, food photography, Great Maine Food, Maine recipes on July 7, 2011 by Stacey Cramp.